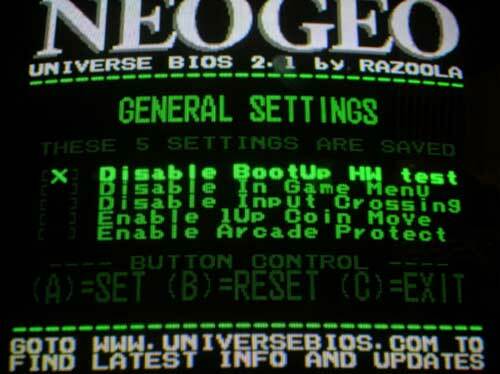 A universal bios on your NeoGeo systemboard will let you do alot of usefull stuff. 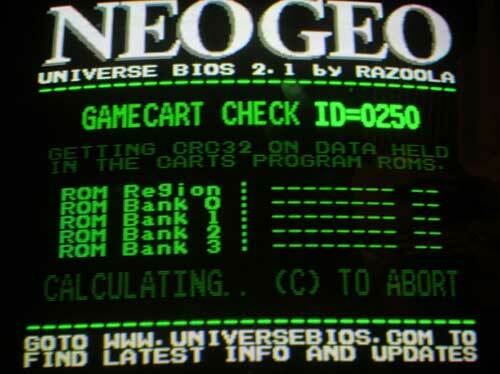 I have a MV-1F Japanese systemboard so all in-game text was in japanese (a language I don't know.. yet) so I decided to get a universal bios that would let me change settings (Arcade, Homesystem. Japanese, US or Euro) and even cheat (Just kidding, cheating is for cheaters). 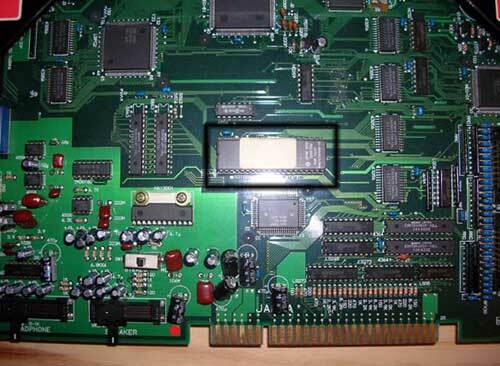 Now, changing to a unversal bios on a MV-1F motherboard is simple since the original bios is in a socket and not soldered to the systemboard. If you have a MV-1B or MV-1C it's more of a trick since the bios is soldered on the systemboard. 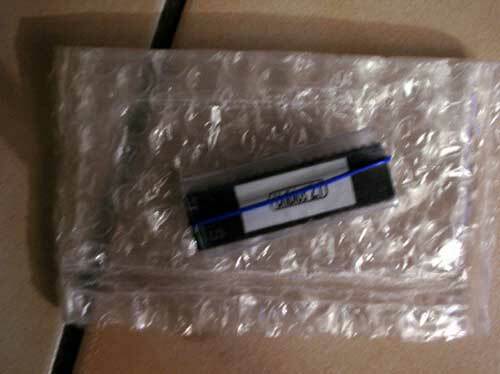 Because of this the MV-1B and MV-1C are very difficult to install the UNIVERSE BIOS on and you should not attempt to install unless you are very skilled with a soldering iron. Go here for some pictures of the install process and pinout information. 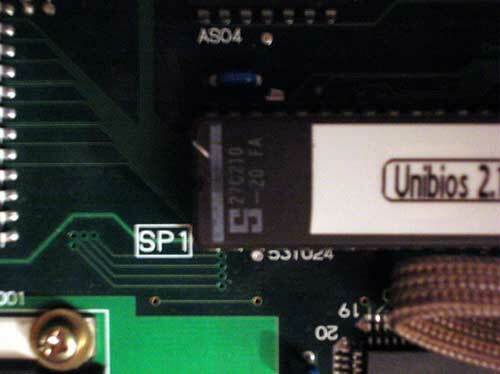 Locate the bios on the systemboard. First of all, the bios could depending on what systemboard you have be placed somewhere else. On my MV-1F board it was easy to locate since its placed in a socket near the end of the systemboard where you connect the harness. Step 2. 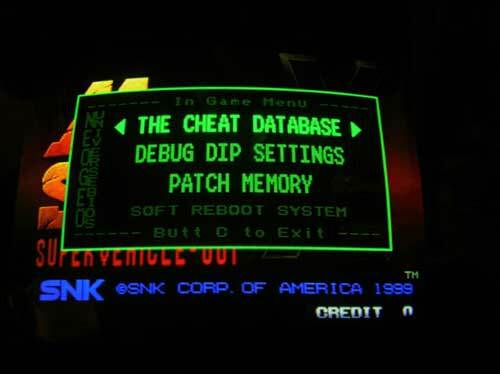 Remember marked side & remove bios. 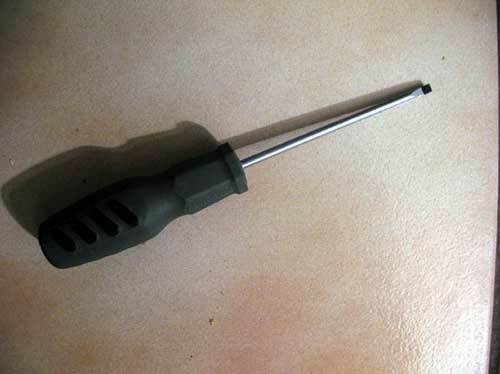 First, find the marked end of the bios (You must remember this otherwise you could fit the new bios the wrong way) then use the screwdriver and carefully try and wiggle the shortends of the bios (First one end and then the other end) until you can remove it by hand. 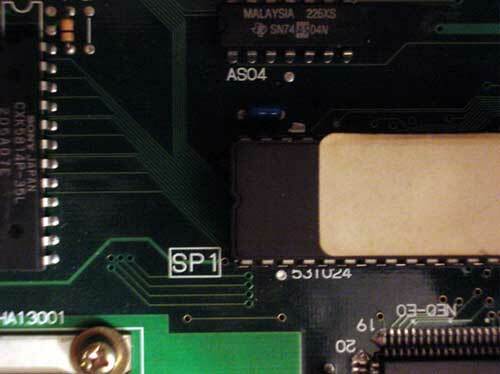 It can be hard to see the marked end of the bios on the pictures but one end of your bios is marked, it's usually a small mark in the middle of the chip. Step 3. Place the new bios. Now place the new bios with it's marked shortside in the socket just as the old bios was placed, press gently so that it sits in the socket. If you have place the new bios the correct way then your done. 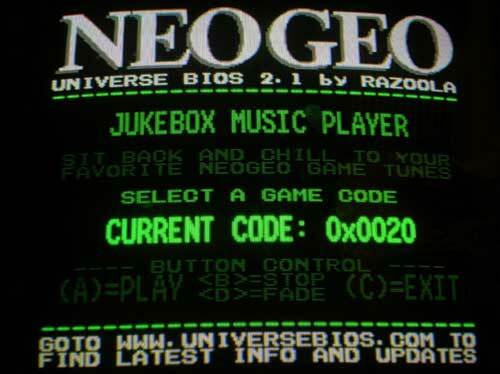 While you power up the machine (with a MVS fitted) press A B & C and you should be greeted with the NeoGeo Universe Bios Menu. 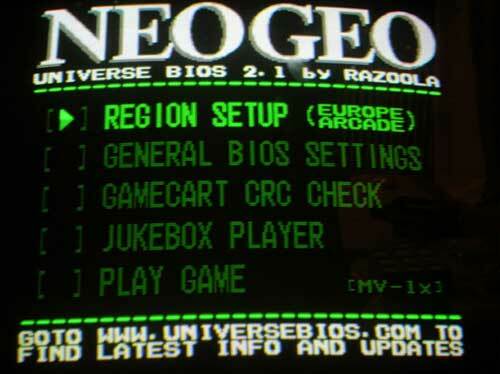 Configure your systemboard with the universe bios. There, all that's needed to be done now is to configure your settings. In the Region Setup settings you can change the region settings so that the ingame texts are either in english or japanese (This setting also changes some of the graphics, more or less blood and stuff like that). To disable the ingame menu (from which you can enable cheats and change dip settings). With a game running you can by pressing the A B C & START keys at the same time bring this menu up.. So, what fun stuff can you do if you still have the ingame menu enabled.. I have no idea what this is..
How it works What buttons to press and what they do.